The story rushes itself from fight to fight at a dizzying speed. But, each fight is written with far too complexity of detail, breaking down individual character movements all the way to what muscles flex in order to make every movement. Though it is a lot of detail, it actually becomes hard to follow due to how long each quick movement takes to read. This occurs in every fight scene for long stretches of time. By fight number twenty, I just wanted the author to get on with it. 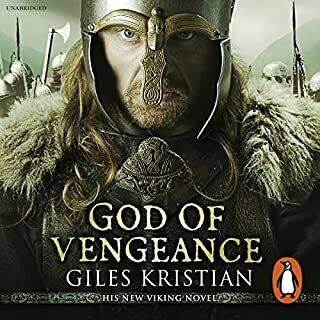 Your sense of time will be strained listening to this as the authors glaze over long stretches of time without fights when something interesting could possibly be built and spend so much time on each fight. Very few characters are believable. They too often take on superhero qualities in a casual manner. Right off the bat, a five year old holds her breath in freezing waters for over five minutes as if that is a normal thing that could happen. This and many other casual feats of superhuman physicality left me with the impression that the authors actually tried to base this story in reality, but missed terribly. I was never convinced to suspend my disbelief, something I normally do quite easily and willingly. All in all, this story needed another couple years of incubation. 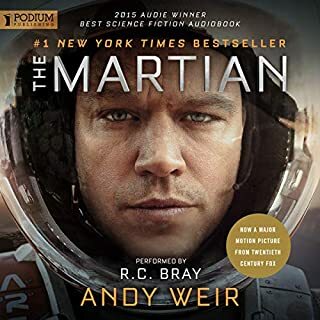 Best audio book I've ever listened to. 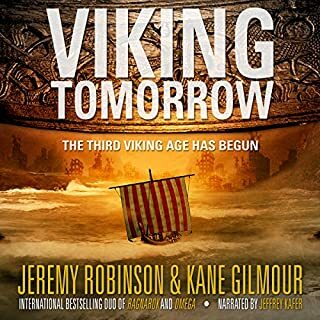 Kristian delivers an engaging story, which is well paced and satisfying for anyone looking for a great viking saga. Fantastic voice performance by Stevens. His character voices are completely commited and he is a true joy to listen to. Could not recommend any more highly. I bought the next book immediately after finishing. Does 10 hours of complicated science ever become dull? No. Not in this audiobook. Five srars.